...... project management area from WBS construction, project planning and scheduling to critical path management, overallocated resources detection, progress tracking, cost estimation, etc. Qweas is providing links to RationalPlan Single Project 3.26.3 as a courtesy, and makes no representations regarding RationalPlan Single Project or any other applications or any information related thereto. Any questions, complaints or claims regarding this application RationalPlan Single Project 3.26.3 must be directed to the appropriate software vendor. 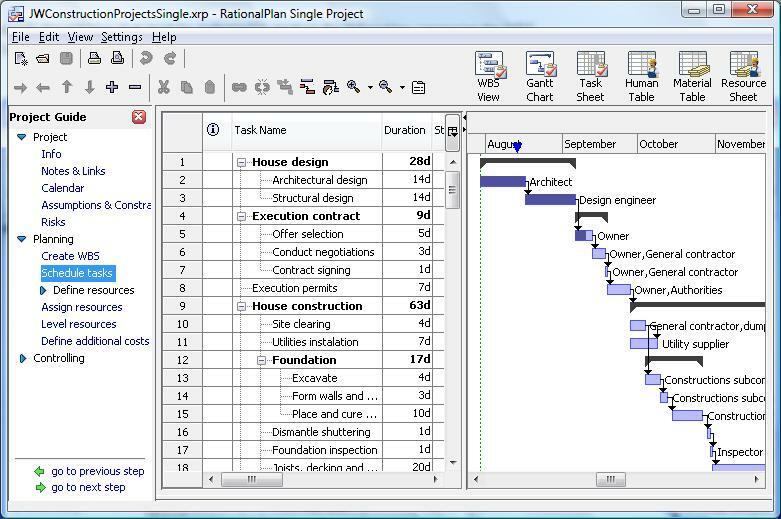 You may click the publisher link of RationalPlan Single Project on the top of this page to get more details about the vendor.